D-Link, makers of the Boxee Box have unveiled their latest product, a cheaper and more streamlined media player called the MovieNite Streaming Media Player DSM-310. The set-top box delivers instant access to an unlimited amount of streaming 1080p full HD movies and also TV shows, and Internet radio playable on any TV set at an affordable price. D-Links MovieNite also offers a reasonable selection of home entertainment content available via one-click of the remote, including: VUDU, Netflix, YouTube, Picasa, and the Pandora music service, as well as the ability to view mydlink-enabled network cameras. D-Link’s MovieNite offers other streaming capabilities of which include the ability to use online photo sharing with the Picasa app. Also on offer is a free MovieNite app available that allows iPhone and Android users to control MovieNite using the smartphone app. At around $60, the box is much cheaper than the $180 Boxee Box launched in 2010. 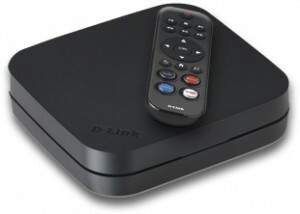 The MovieNite makes D-Link more of a competitor to Apple TV, and even more the Roku media box. MovieNite does lack some features of it’s bigger brother. It lacks a full web browser, has less support for video and audio files and has less content. It is also equipped with the right connections if your using an older analogue TV! The MovieNite retails for around $60 and is now available exclusively at Walmart stores across the US.